The historic city of Khalifatabad is an outstanding example of an architectural ensemble which illustrates a significant stage in human history. 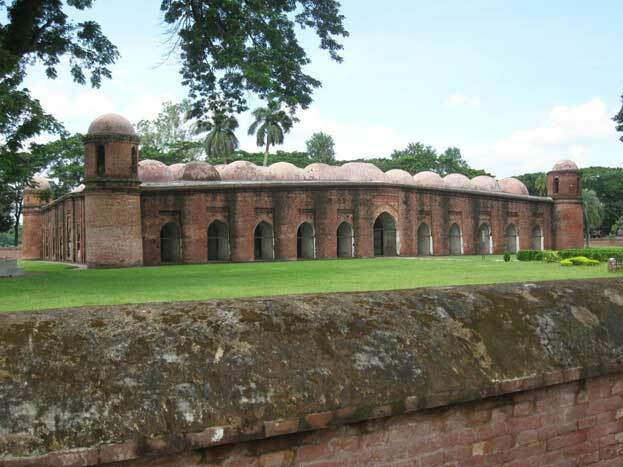 Situated in the suburbs of Bagerhat, at the meeting point of the Ganges and Brahmaputra rivers, this ancient city was founded by the Turkish general Ulugh Khan Jahan in the 15th century. 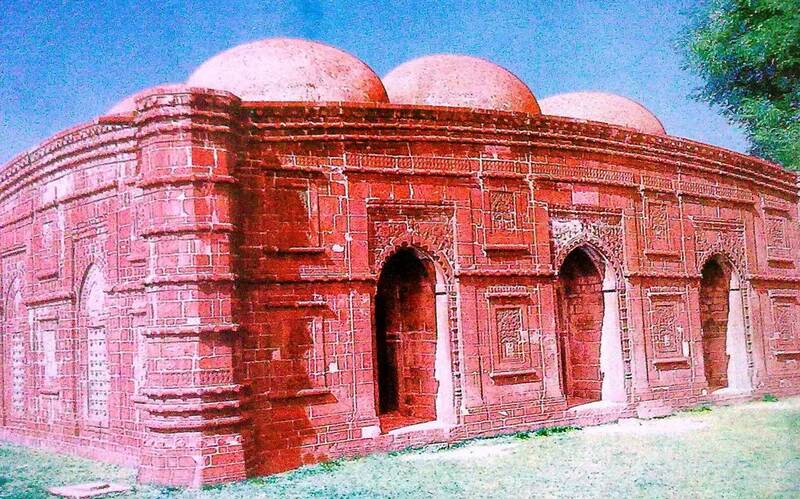 In this local capital of 50 km2 along the Bhairab River, 360 mosques, public buildings, mausoleums, bridges, roads, water tanks and other public buildings were built from baked brick. 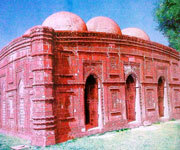 Shait Gumbad Mosque and Khan Jahan's Mausoleum are just two examples of these historic buildings. Today this old city, created within a few years and swallowed up by the jungle after the death of its founder in 1459, is striking because of certain uncommon features. The density of Islamic religious monuments is explained by the piety of Khan Jahan, which is evidenced by the engraved inscription on his tomb. The lack of fortifications is attributable to the possibilities of retreat into the impenetrable swamps of the Sunderbans. The quality of the infrastructures - the supply and evacuation of water, the cisterns and reservoirs, the roads and bridges - all reveal a perfect mastery of the techniques of planning and a will towards spatial organization. Today, the monuments, which have been partially disengaged from the vegetation, may be divided in two principal zones: to the west around the Mosque of Shait Gumbad and to the east around the Mausoleum of Khan Jahan. More than 50 monuments have been catalogued. These include the Mosque of Shait Gumbad renowned for its large prayer room, divided into seven longitudinal naves; the mosques of Singar, Bibi Begni and Chunakkola; the mosques of Reza Khoda, Zindavir and Ranvijoypur. All these monuments are threatened, owing to the extreme salinity of the soil and the atmosphere, made especially vulnerable because brick architecture predominates. 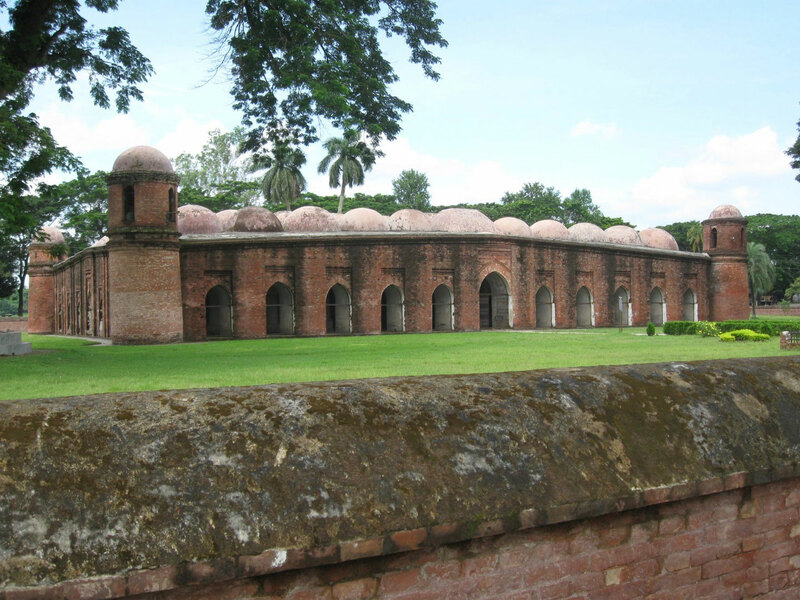 Browse All UNESCO World Heritage Sites in Bangladesh. The original UNESCO inscription Here!! !